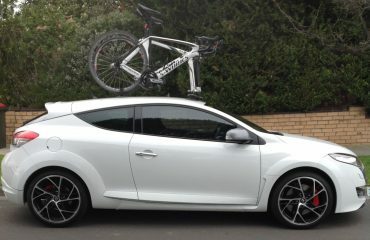 Michael is a keen recreational cyclist and owner of ICE Ignition. 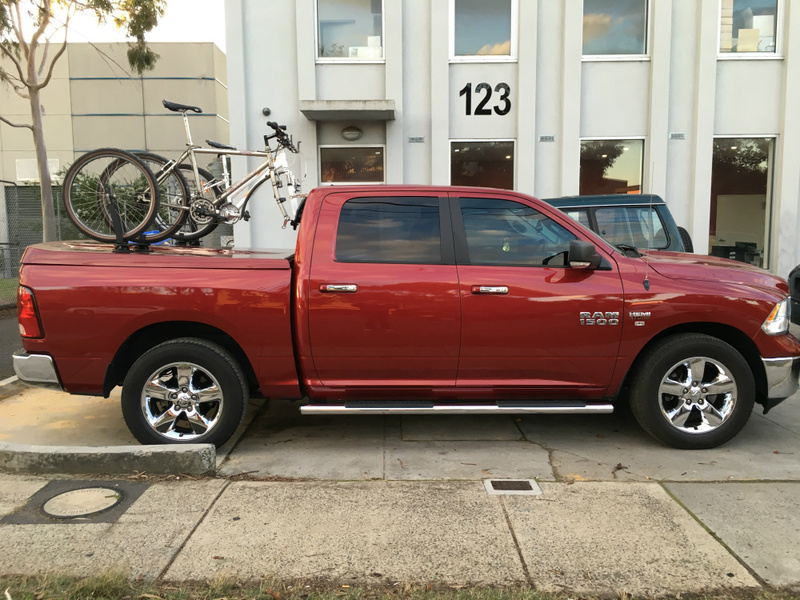 Having purchased his Dodge RAM 1500 a few years ago struggled to find a suitable Dodge RAM 1500 Bike Rack. He set us a challenge to come up with a bike rack solution that could carry 3 bikes. 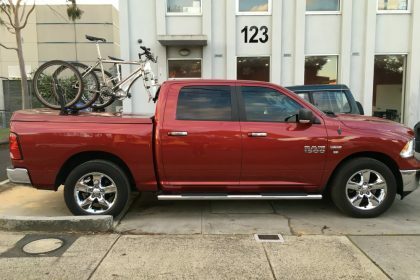 The Dodge RAM 1500 presented two issues. The rear deck lid has several bumps and this car also has a small electric window in the centre of the rear window. First we tackled the rear window issue. The standard vacuum mount mounting positions on the SeaSucker Bomber meant that two vacuum mounts ended up on the rear electric window. After taking measurements we relocated the two vacuum mounts to ensure they could be used. The rear deck lid whilst it has several raised sections provided enough space to use two Flight Decks. The end solution meant that Michael can carry three bikes with ease and carry two front wheels alongside the back wheels. 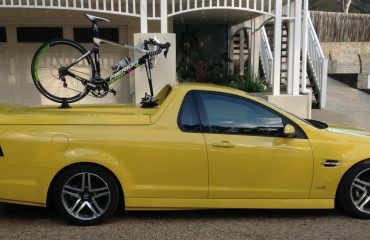 Michael has since completed several long-distance trips with his new bike rack and loves the flexibility of being able to carry his bikes without sacrificing boot space. Best of all he can install the bike rack within 2 to 3 minutes and remove it in seconds. 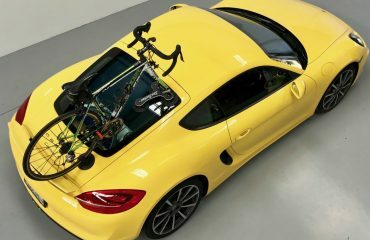 The low vertical profile created by tucking the bike rack behind the cabin means Michael can drive into his garage with ample clearance. Thank you Michael for sending us the photos and for allowing us to share your story. Buy the SeaSucker Bomber through our online store.